Lagom (“lah-goam”) = Everything in perfect balance. Hygge (“heu-gah”) = The highest expression of living. The deep satisfaction of time well spent. Two words that permeate through everything that Swedish company Primare make and do. Something that we can well appreciate and understand now that we are the proud sellers of all things Lagom and Hygge! There is a sense of perfect balance and satisfaction that comes together very neatly in Primare’s new I35 integrated amplifier. As part of the Prisma range the I35 is the latest version of their iconic 30 series integrated amplifiers and is the first one to feature their brand new all analogue Class D amplifier technology, what they call UFPD2. Primare boast that this new power platform fully exploits the potential of Class D amplification. A big boast. Can they back it up with action!? According to the official blurb (I love that word) The I35 amplifier can deliver 150 watts at 8 ohms across the entire audible bandwidth and to see (or hear) how this equates into sound quality in the real world we decided to pair it up with the rather brilliant Martin Logan Electromotion X electrostatic loudspeakers and see what occurs! Now, because the I35 is available in three versions……. Amp with DAC and Streamer module…….. and we have the third option we can stream as much as we like!! 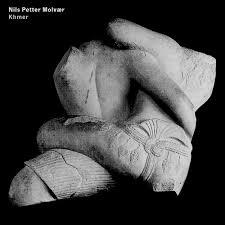 So first up from Tidal was the totally amazing thing that is the album Khmer by Nils Petter Molvaer on the ECM record label. 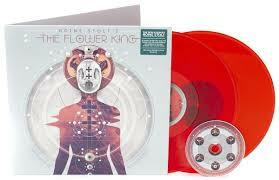 This is an album that is amazingly well recorded with an especially juicy bass sound. A great one for demo use and for putting speakers through their paces. As a pairing this combination of amp and speakers possessed that holy grail of hi-fi systems in the way it totally brought the music to life. The sound is fast, clean and agile. Soundstaging was wide and deep. The Primare i35 allowing the Electrostatics to deliver an un-coloured window into the music. Next through the streamy bit on the Primare was the new helping of Prog Rock genius that is Roine Stolt’s new album called Manifesto of an Alchemist. Again the Primare showed an ability to be both viscerally exciting and revealing in detail way beyond its price! This is one of those really magical amplifiers that should prove once and for all that Class D really can offer quality and affordability and make you think, do I really need to spend more? It is a fantastic amplifier, a very good DAC and a more than decent streamer! I can honestly say that I have not had this much fun with an amplifier since the days of chrome bumper Naim gear……remember them!! Prisma provides multi room/multi zone connectivity and control for playback of stored and streamed media. Wired or wireless all managed from any mobile device through a dedicated control app. In addition to Bluetooth, Airplay and Spotify Connect Prisma features Chromecast built in a unique streaming portal allowing effortless direct connection to literally hundreds of streaming applications. There is also a well nifty matching CD35 CD player should you want to add one to the system …..perhaps more on this at a later blog! !